TURKEY.Ottoman Empire. Bayezid I 791-804H ( AD 1389-1402 ).AR.Akce, 792H, No mint. TURKEY-Ottoman Empire - Seljuks of Rum etc. 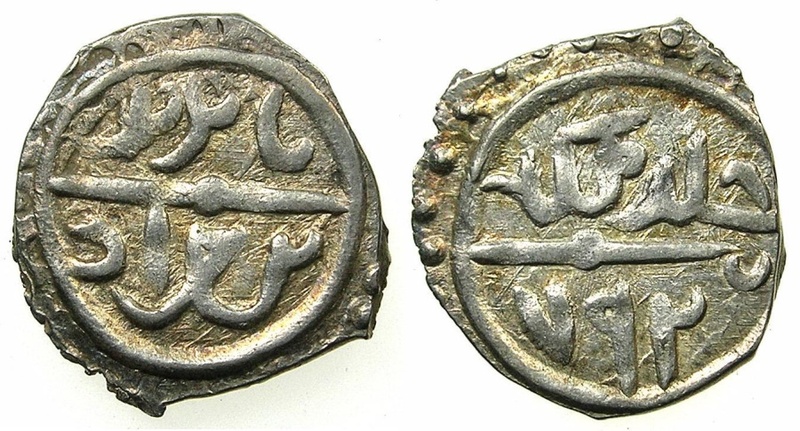 OTTOMAN EMPIRE.Mahmud I 1143-1168H ( AD 1730-1754 ).Billon Para.1143H.Struck at CONSTANTINOPLE. TURKEY.OTTOMAN EMPIRE. Mehmed Celebi 806-816H.AR.Akce.808H.Mint of AYASLIK. TURKEY.OTTOMAN EMPIRE.Sultan Ahmed I 1012-1026H ( AD 1603-1617).AR.Dirhem, 1012H. Mint of HALEP ( ALEPPO).